Red twill satin applique embroidery on the front of a grey heather, Independent Trading Co brand hoodie. 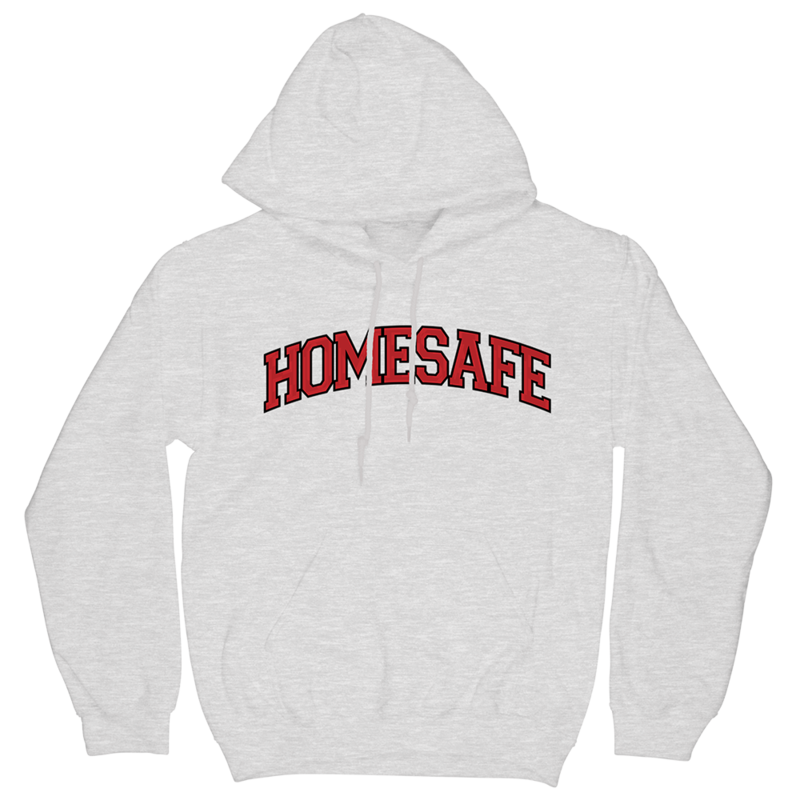 Thank you for supporting the Official Homesafe Merch Webstore! © 2018 Homesafe. Powered by Second City Prints.